A little while ago I posted a video about some inherited I received from my brother-in-law. As I flipped through the pages some of my favorite cards from the binders went by without me commenting on them. 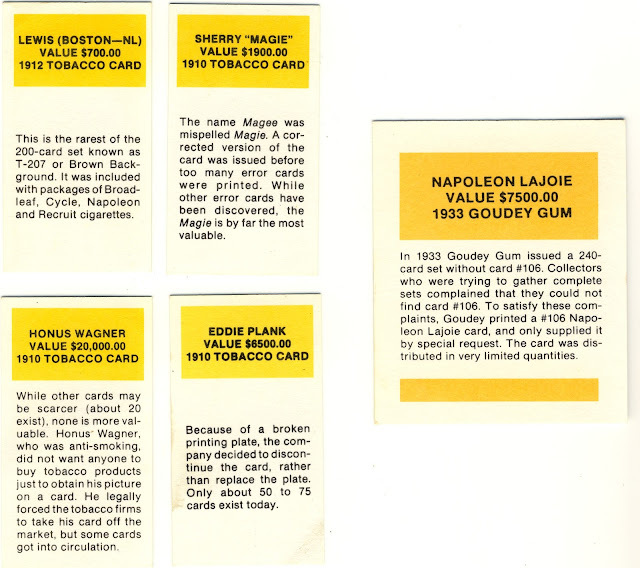 Among them are these great reprints of some of the most famous tobacco era cards. While many reprints have the tobacco logo on the reverse side, these have some brief background information on each card as well as the value. These clearly came from the same series and if I remember correctly they may have been included with a card collecting set. Did anyone else have these as a kid or maybe have more information as to where these reprints came from? 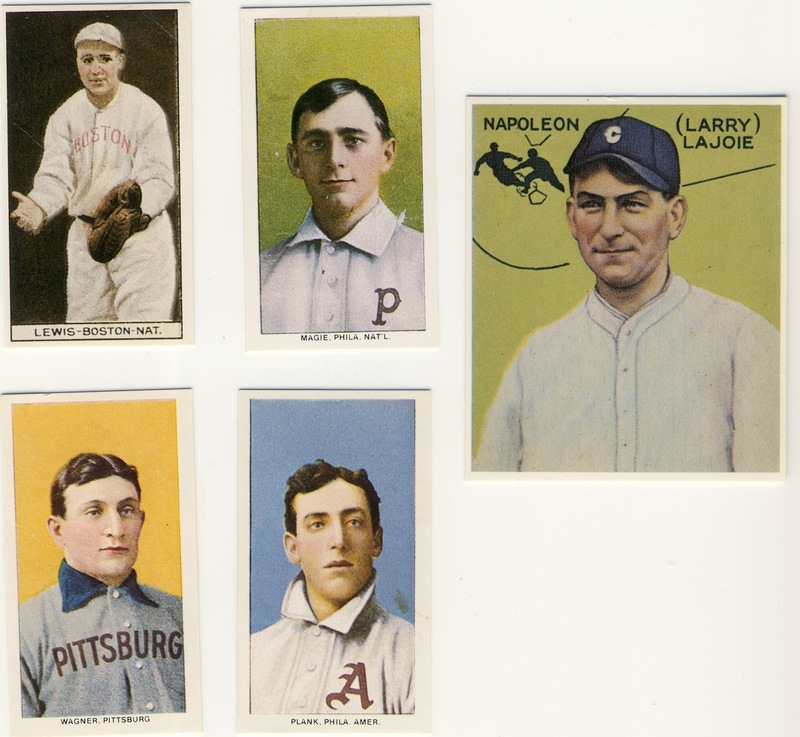 Last night I dug deep into my collection and found I had four more Honus Wagner reprints. And on the reverse side of two of them they have a red box instead of the yellow. That is clearly from a more recent variation as the value of the card has been increased from $20,000 to $25,000. Anyone have any clue about the origin of these cards? I have tons of these! Never had the heart to throw them out. I've been wondering what the dealio was. These are most likely Dover Reprints. I can't remember when, but many moons ago, Dover was reprinting old baseball cards, especially the T206/T209 sets. Usually, they cam in a book and were perforated so you could punch them out. Yours have have pretty sharp corners, so I'm guessing they have been trimmed such that the perf marks were cut off. That's just a guess. I'm pretty sure they came as a part of a card collecting kit back in the late 80s. Binder, 10 pages, these reprints, and a short 15-or 20-page "Guide to Card Collecting" sort of manual. As I recall, it had sort of a dark green grass looking cover with a few pictures of T206-era cards on the front of it. But it's been years... my memory wasn't that good then and it hasn't improved with age! I think Jason is absolutely correct...and it was kind of scary because I was going to say roughly the same thing he did. And I'm Jason, too. The ones with the value came with the kit, which apparently was updated over the years. Sad to know there are even variations on reprints.